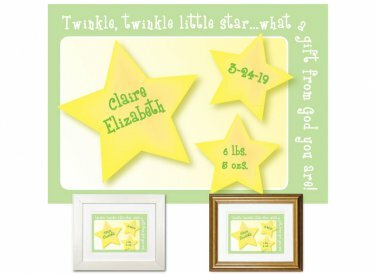 Celebrate the arrival of the new "little star" with this sweet plaque. Nursery wall art is personalized with baby's name and birth stats - date of birth and weight. Makes a great gift! Original design. Hand-finished using premium museum-quality materials. Also comes in pink and blue.